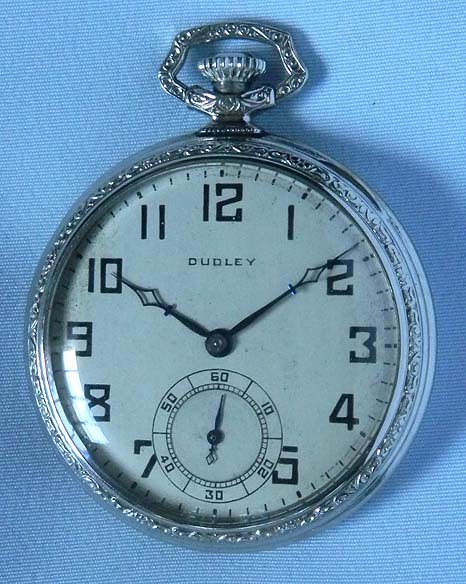 Fine Dudley Model III white gold filled antique pocket watch in flip-back case circa 1950. 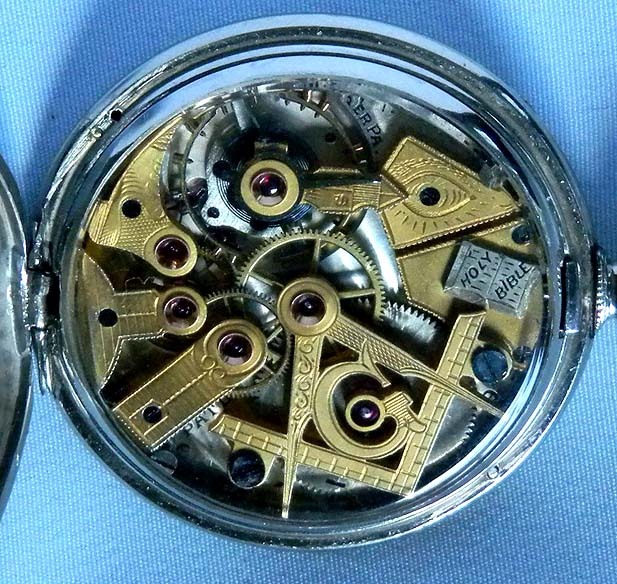 The bridges of the 19 jewel movement in the shapes of Masonic symbols with applied silver bible. 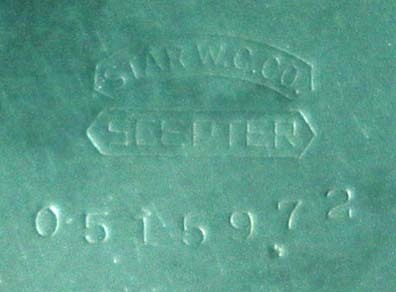 Original silver dial with light signs of age, black numerals and blued steel hands. 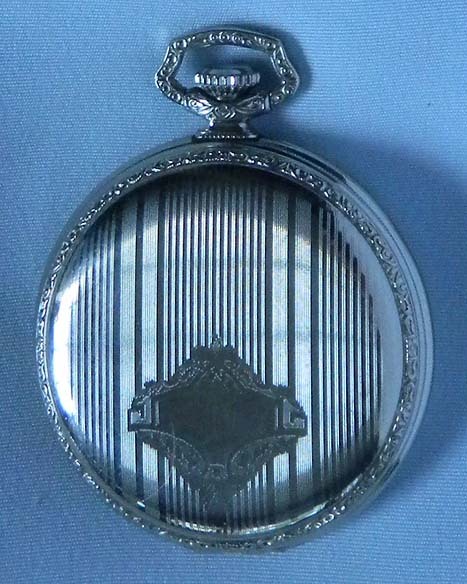 The case with fancy bezels and bow.